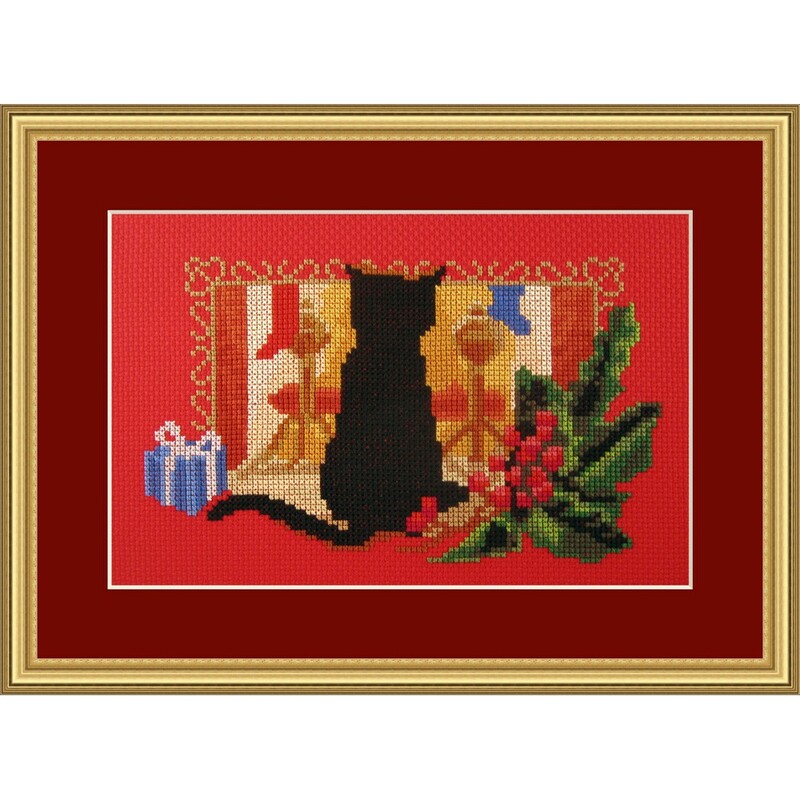 Cross stitch kit of a cat on christmas eve, waiting for the burning fireplace untill he can open his present. 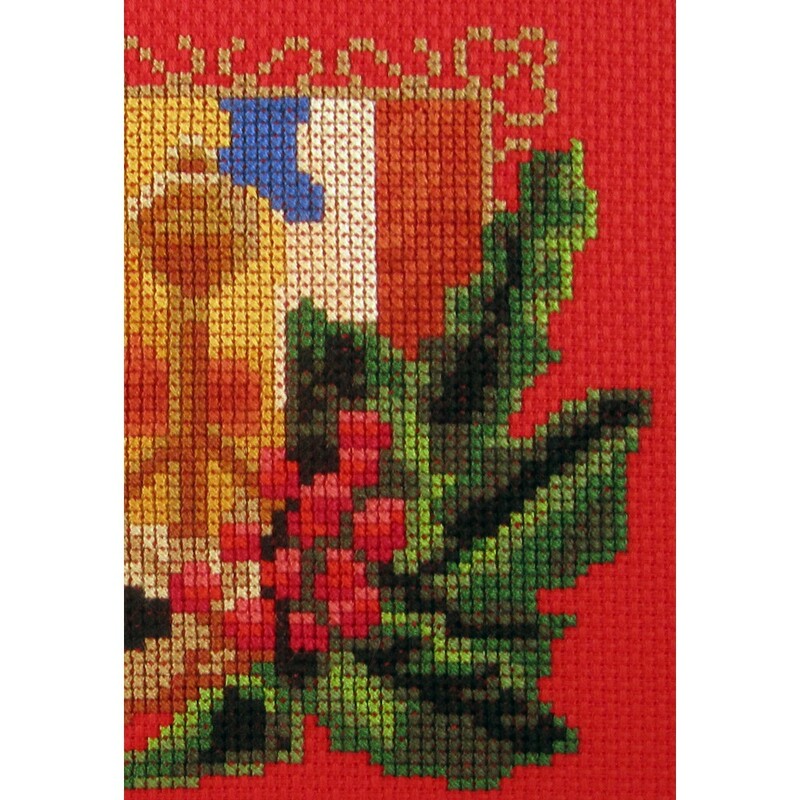 A small christmas cross stitch kit that is also suitable for beginners. 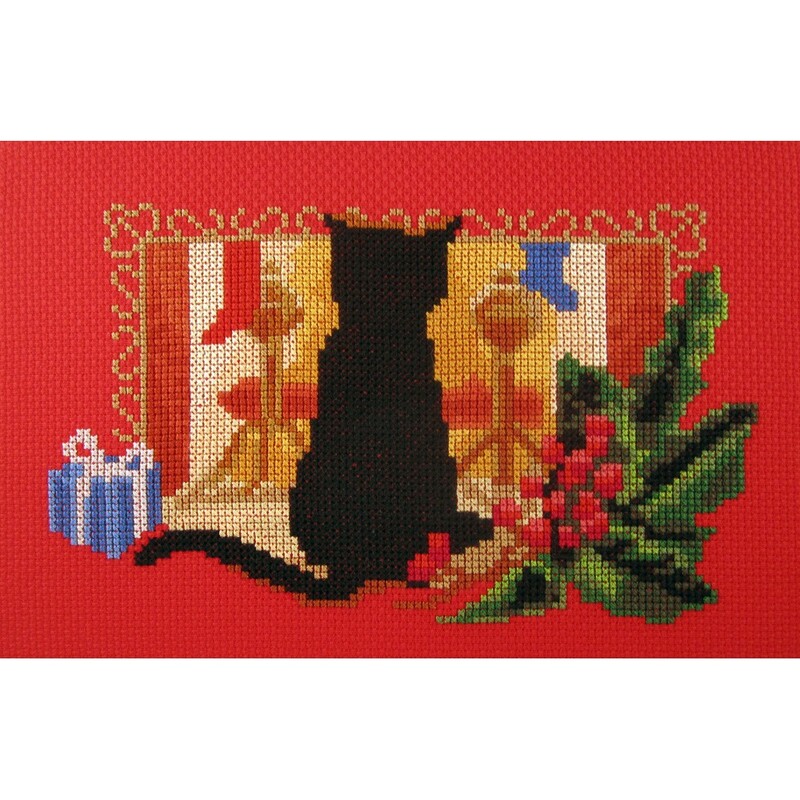 With DMC floss and christmas red aida by Zweigart.